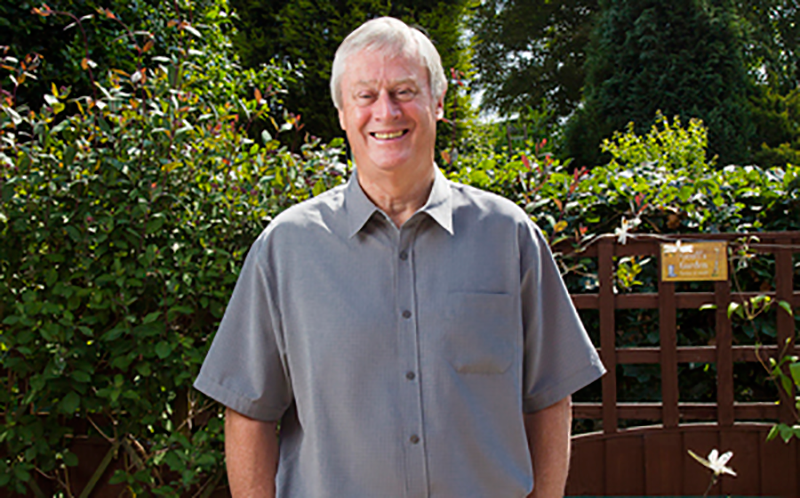 Geoff Fisher: "I would advise other men to take up the support of their friends"
After his wife Gillian was diagnosed with ovarian cancer, Geoff turned to friends for support. "Not knowing what was wrong was very difficult. It was actually easier when Gillian was diagnosed and I knew what we were dealing with. After the hysterectomy I asked the doctor how large the ovarian cyst was and he indicated with his hands. I said, about the size of your head? And he agreed, yes. That was a shock. Knowing that it was cancer was hard. It was a slap in the face really. It’s always someone else who has cancer, someone else around the corner. Occasionally Gill would say to me, I think this cancer is going to get to me. And I’d say, yes darling, it probably is, but not today. And not tomorrow. It’s about having hope. However close I was to Gill and however much I thought I was going through it with her, I was always aware that it wasn’t me that was likely to die. "I went with her to virtually every chemotherapy session"
It was the waiting around that was very stressful. Sometimes you’d get there at nine, see the consultant at midday and start the chemotherapy at three. The worst time was when we left to go home at 10.30pm at night. But I know the hospital has made a lot of changes since then. Funnily enough chemotherapy became a social occasion. You tended to see the same people. The patients chatted to each other and so did the carers, talking to other people who were going through the same thing. Some people don’t talk much about what they’re going through but we were quite open about it. Cancer is a lonely thing. In my last email to friends updating them about Gill, I said, thank you for listening and as I’m sure you’ve realised, writing these emails was as much for my benefit as it was for yours. I would advise other men to take up the support of their friends. Never turn down an invitation. Shortly after Gill died, a close friend asked me to join him and a couple of friends at the pub for a pint. I hadn’t been for years. I had never been a regular, pint-out-on-a-Friday kind of man. But I started going and they’ve been a great support. I’m glad that I took him up on his offer."